Blue scrubs or blue navy color or baltic scrubs as they are called at Medelita are one of the most popular colors. Medelita is offering men’s and women’s blue scrub tops and blue scrub pants. Forget the unisex, boxy scrubs. Cheap scrubs cost a lot more in the long run. 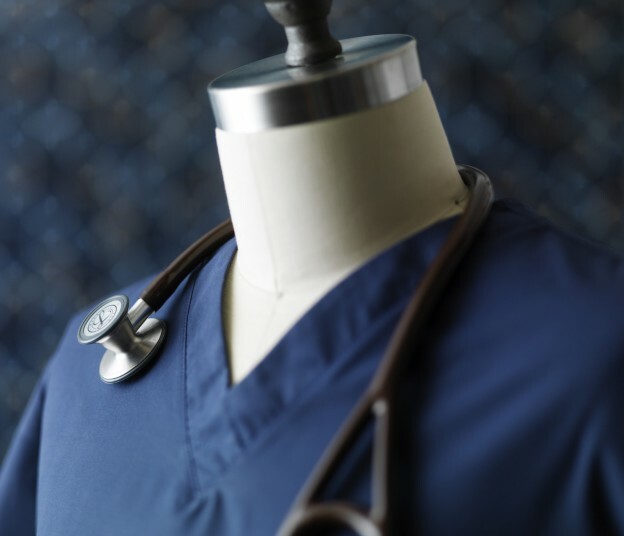 Read here about advantages of new performance fabrics used in professional scrubs today. There are fantastic materials that are super comfortable, wick away moisture, odor free, bacteriostatic, etc. “I have just received my clinician scrubs and the fit is just great. I’m a clinical pharmacist and my department just changed their uniform color from navy blue to khaki but I’m still keeping my new Medelita scrubs anyway since they fit so well. They are really worth the money.” Lourdes, Pharmacist. This entry was posted in Blue Scrubs, Medical Scrubs, Men's Scrubs, Women's Scrubs and tagged blue scrub pants, Blue scrub set, blue scrub top, Blue Scrubs, Navy scrubs, shop scrubs on October 24, 2012 by medelita.